Focus POS protects against beverages not being rung up! One of the most common problems and an area of revenue losses in any restaurant is when staff does not ring beverages into the POS system. It’s an easy thing to forget, especially with a full house, a busy server, and in some instances, with a cashier taking payment. Soft beverages from syrup concentrate can be thought of as a low cost perishable but when ignored, can be a high cost lost of revenue over time. Every restaurateur should have a feature embedded into their business’ POS system to ask, or even better, require a beverage before the check can be tendered. While the food service industry does not maintain statistics on error or theft, the issue is very real for any restaurant owner. A 2004 Nation Restaurant Association survey stated theft represented on average 4% of a restaurant’s total food costs. And in comparison, a 2010 survey by the University of Florida reported over $36 billion (dollars) are lost due to theft and error. With these alarming numbers, it’s apparent that restaurateurs are battling to keep their assets protected and are in need of tools to control and track to their benefit. Luckily, Focus POS has an unique stock feature; forcing staff to ring in a beverage for every entree rung in, even if it’s a zero cost item such as water. When programming, New Mexico POS will flag any major entree or dish that the owner thinks would require a beverage to match. Such as, an appetizer would not require a beverage but the major entrees behind it would. This feature can also be matched with any alcoholic beverage that requires a mixer. 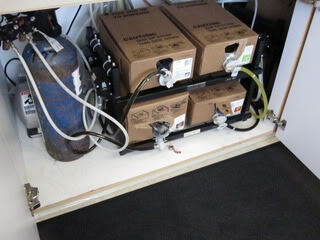 For example, staff would pick their cocktail, vodka, and then the mixer, ensuring the up-charge is always added. This feature included with the other great features in Focus POS, New Mexico POS will program a custom database, tailored to fit your business.